Arleta Richardson has written timeless stories about lessons learned from her own Grandmother Mabel. Well over 100 year ago when Grandma Mabel was a young girl living on a farm with her Ma and Pa and brothers, she experienced life’s lessons in unique ways that she shared with Arleta. 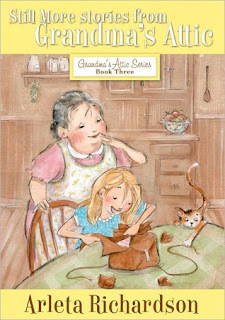 Arleta knowing her Grandma was a fantastic story teller remembered the tales to put into print for the world to enjoy. Mabel was a curious youngster that often found herself in the middle of mischief from creating her own face cream that needed chiseled off her face, to wearing her best dress to school without permission and spilling the ink well all over it, to disobeying instructions from her Ma and Pa to realize that they truly did know best. Mabel learns life lessons from the elderly around her, those she may have prejudged to realize that they were truly gifted with knowledge and love. 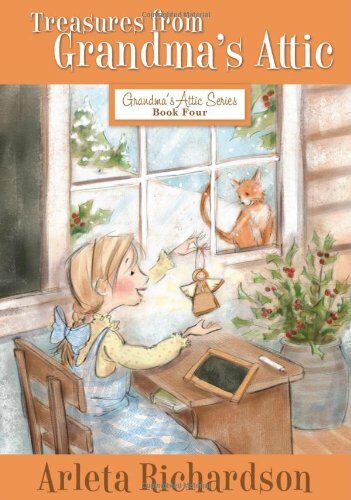 Grandma Mabel shares these stories with Arleta in a gentle teaching approach that shares with Arleta and her readers’ life lessons that are still very applicable today. Told in funny and delightful prose, the readers of today will still find much laughter and enjoyment in reading Arleta Richardson’s stories. I just loved reading the stories of times gone by and sharing them with my children. A much simpler time in our history but with significant themes that still are useful in teaching our own children. They were entertaining to my children as well as myself which is perfect in a children’s book. I received a copy of Arleta Richardson’s book in exchange for an honest review. I am a new follower. Please stop by and check out our new blog Blog Hops Everyday. Feel free to add your blog hop button if you have one and/or add our button to your site to help us grow. Thank you and Blog Hop Till You Drop! Hopping by and returning a like on GFC. I love books and this series looks wonderful. I can't wait to see what new titles you introduce me to.